A successful practice is built on teamwork and ours is no exception; Dr. Martin is our Dentist on staff but he couldn't provide true customized care without his loyal team. Geraldine began her work with Dr. Martin more than 12 years ago and she made a major career change, to do it. She has always been dedicated to really learning the business and she supported the practice while studying to become a Certified Dental Assistant in 2001. Dr. Martin has been her mentor and is the only Dentist she has ever supported. In 2003, as the practice grew, she began coordinating the entire practice and now handles the majority of "behind the scenes" detail that make the experience for you and your family a GREAT one! Geraldine might be the person who takes your call, handles billing questions and resolves any challenges you might have with the timing and logistics of an appointment. Think of her as the Doc.’s right arm”. 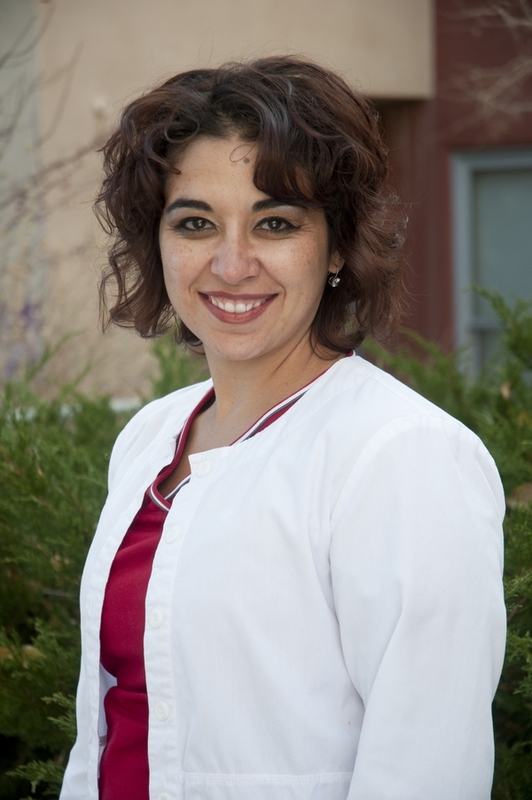 Geraldine inspires the support staff and is the go-to person for Dr. Martin, is a native of Northern New Mexico, the mother of three children and knows first-hand how important Oral Health for a family really is.